Once you click on Vote It will show the popup of sign up/ log in, you need to click on it If you don't have an account you can sign up by filling their form or If you already have an account on CryptalDash then just Log in. Once you have signed up and confirmed email verification It will reward MMOCoin 20 Votes. 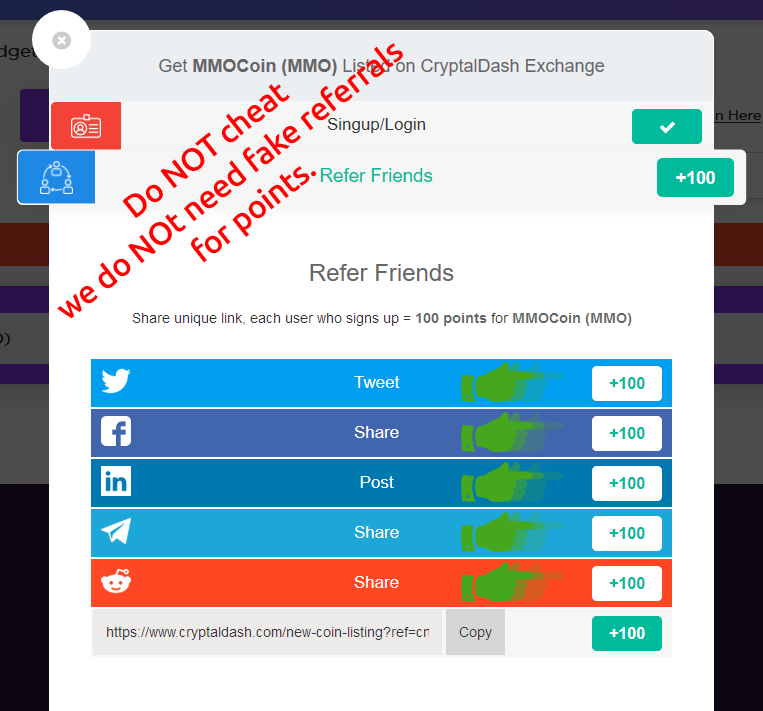 Now you will click on Refer share and will share all the available social sharing options and If someone signs up with your referral link, MMOCoin will gain 100 Votes for it! 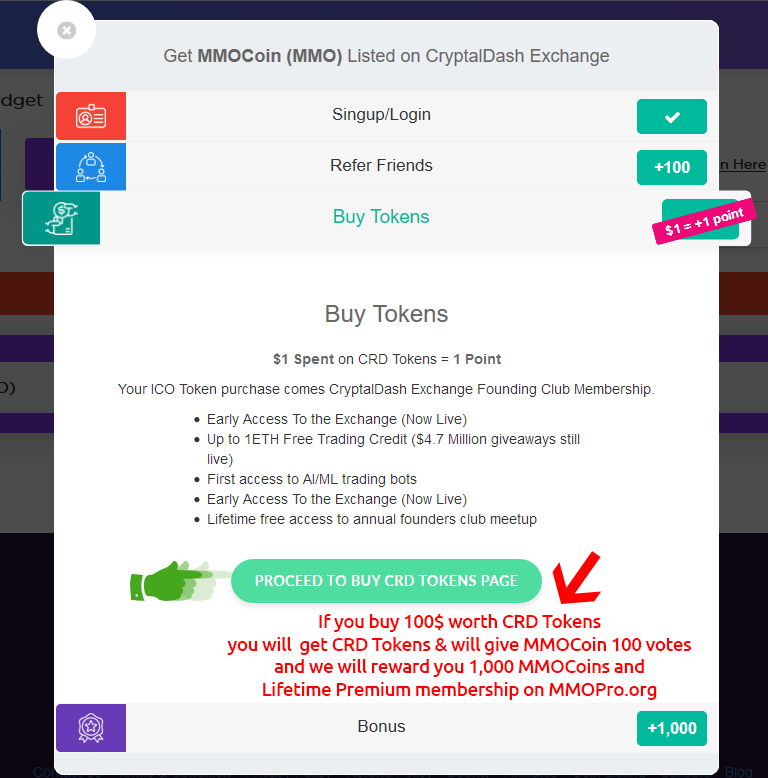 This is something Special, If you have trust in MMOCoin and willing to invest some good amount You have to buy minimum 100$ worth CRD Tokens so it will give you CRD Tokens as well as will give MMOCoin 100 Votes (the more votes we get, the more chances we have to get listed on CryptalDash) and if you complete this task and provide mmocoin 100 Vote Points then in return we will reward you with 1,000 MMOCoins and Lifetime premium membership on our forum which means ad-free browsing on our forum! Submitting the info/proof on SPP (SimplePosPool) bounties section is must to receive your bounty! Last edited by animeshsingh452; 20-05-18 at 12:47 AM.